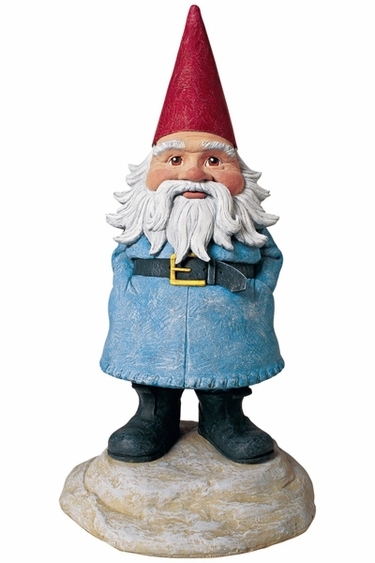 GardenFun is excited to present to you the full size 18” Travelocity garden statue. Make him yours by placing him in your garden, in your home or in your office. When he’s not macking on the ladies, this big brother of our garden gnomes knows what’s going on. He’s keeping serious offenders out of your garden while looking confident wearing his official gnome hat. You may have seen him showing off on all those travel commercials, but what he really wants to do is hang out at your place. Even though he’s a major jet setter, he’s also a homebody (shhh…don’t tell anybody). About me: So yeah, I’m the official Travelocity roaming gnome statue. That’s me there. Yeah, up there. A little to your right…oh…now back to your left…hold it. Yep, right there with the red hat. I look pretty spiffy for a roaming gnome, right? That means you should take me home. I’m sure we’d make great friends. View All Happy Birthday Gifts!